Kinsale Contracting Group has built a reputation as trusted demolition contractors, specializing in interior demolition and environmental remediation projects, providing solutions for industrial, governmental, institutional, commercial and residential clients throughout the greater Chicago area. Their services include selective demolition, asbestos removal, hazardous waste cleanup, lead mitigation, mold and microbial remediation and their goal is always to complete even the most extensive projects in the safest and most cost effective manner possible. Kinsale Contracting Group has been a BANG! client since 2005 when we built them a slick Flash based site. This recent redesign ditches the bells and whistles of Flash and concentrates on solid delivery of Kinsale's core capabilities with SEO baked in for lead generation. Site features responsive web design for mobile optimzation and features our employment application system to help them locate top knotch staff as they grow the company. To view the Kinsale website click here > www.kinsalecg.com (link will open in a new tab). Selge Construction Co., Inc. specializes in excavating, directional drilling, earthmoving and ancillary concrete work for the roadwork on underground utility projects serving municipal and commercial clients. To manage their projects Selge included our on-line Plan Room system to better facilitate sharing of documents during a project. Once those projects are complete they can be added to the site using our Projects system which creates search engine optimized pages automatically by type of work and project location. The site also includes our employment system allowing them to recruit new construction workers on-line inexpensively. To view the Selge Construction Company website click here > www.selgeconstruction.com (link will open in a new tab). The Robert Henry Corporation is a general contractor serving the South Bend Indiana community. With over 40 years of experience they can take on nearly any commercial contracting job. Their specialties include underground electrical utility work, directional drilling / boring, and the construction of green buildings using LEED practices. The Robert Henry Corpration has been a BANG! 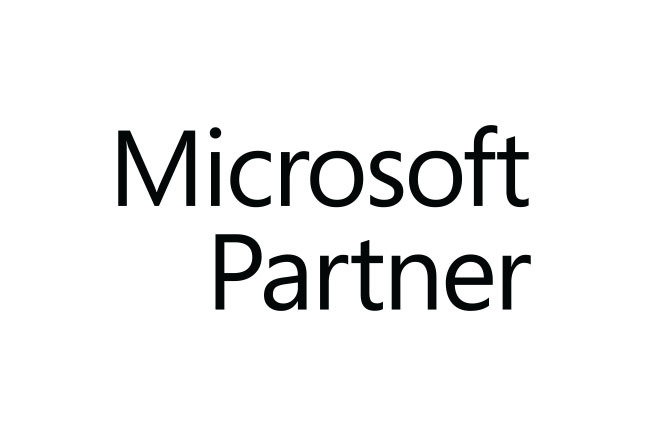 client since 1999! Their current site, our 3rd version for them employs responsive web design techniques for mobile optimization and uses our obn-line employment application system allowing them to recruit new construction workers quickly and inexpensively. To view The Robert Henry Corporation website click here > www.roberthenrycorp.com (link will open in a new tab). Advantage Plumbing is dedicated to service beyond your expectations. Providing a wide variety of plumbing services they've been in business since 2000 and are locally owned and operated. A BANG! client since 2008, their website features responsive website design for optimal viewing on mobile devices and features on-line coupons for their services. They also produly post photos of their drug tested and background checked technicians for your piece of mind as they enter your home. Our SEO (Search Engine Optimization) skills have resulted in number one rankings both in the local search results and the natural / organic search results. To view the Advantage Plumbing Inc. website click here > www.advantageplumbinginc.net (link will open in a new tab). Edward J. White Plumbing, Heating and Air Conditioning providing great service since 1925. Their no pressure sales process is a delight for their customers. A BANG! client since 2011, their website features responsive web design for optimal viewing on mobile devices and uses our testimonials system where we pull a testimonial randomly from a pool of them keeping the site fresh every time you load page. To view the Edward J. White website click here > www.ejwhiteinc.net (link will open in a new tab). Apple Plumbing services is a family owned and operated company that has been serving the Valley’s residential and commercial plumbing services needs for over 25 years. General Contractors, Selge Construction Co., Inc. specializes in excavating, directional drilling, earthmoving and ancillary concrete work for the roadwork on underground utility projects serving municipal and commercial clients. Respected throughout the Michiana Region for building quality projects on schedule, Selge is committed to continued training and education that results in construction worksite safety, high levels of productivity and expedited planning and problem solving. To learn more about General Contractor, Selge Construction contact them today! Demolition Contractors, Kinsale Contracting Group have become known for providing advanced solutions to even the most complex selective demolition problems in the greater Chicago area. Established in 2001 and a trusted demolition contractor, Kinsale specializes in interior demolition and environmental remediation projects. Their services include selective demolition, asbestos removal, mold remediation and lead mitigation. From large or small, simple or extremely complex projects they provide solutions for industrial, governmental, institutional, commercial and residential clients in the safest and most cost effective manner possible. To learn more about demolition contractors, Kinsale Contracting group contact them today at (603)325-7400. The Fire & Water Damage Restoration experts at Advanced Fire and Water Restoration is trained and ready to restore your property and your life when disaster strikes in Phoenix and Scottsdale AZ. With over 60 years of combine construction experience, they offer a full range of quality contruction and restoration services. Their services include residential and commercial fire and water damagee restoration, sewage cleanup, mold removal and remediation, asbestos abatement, reconstruction and complete rebuilds. To learn more about the fire and water damage restoration experts in Phoenix & Scottsdale Arizona, contact Advanced Fire and Water Restoration today! 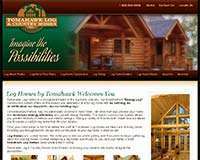 Tomahawk Log Homes is a recognized leader in the log home industry. Our trademarked "Energy Log" construction system offers all the beauty and aesthetics of a full log home with no settling, no air-infiltration, no slip-joints, and no twisting logs! Conventionally framed, fully insulated walls covered in hand hewn, kiln dried half logs provide your home with increased energy efficiency and greater design flexibility. This hybrid log home construction system allows you greater flexibility in exterior and interior designs, Mixing a variety of finishes both inside and out allows you to create a custom log home that fits your desires. Looking for a building contractor in Indiana? Since 1977, Hoerstman General Contracting, Inc. has been one of Northern Indiana and Southern Michigan’s most qualified building contractor in Indiana. Their general contracting services include custom home design services, room additions and custom millwork for both residential and commercial clients. They also have an in-house team of design professionals dedicated to turn your ideas into a unique custom project of your own. No matter how big or small, Hoerstman General Contracting treats every project with the same care and personal attention. They listen to your needs and concerns as communication has always proved to be the leading factor in the successful completion of a construction project. Contact Hoerstman General Contracting and let them show you how their experience, dependability, and competitive pricing can make your custom building project a success. 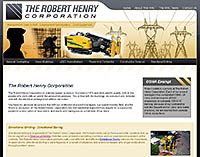 The Robert Henry Corporation is a Commercial Construction Contractor and a Power Grid Contractor. As a family-owned business founded in 1974, The Robert Henry Corporation is dedicated to quality, both in the people who work with us and in the product we produce. This is true with the buildings we construct and remodel and with the electrical underground utilities we install. Since our founding, we have worked on a diversified range of projects and provide services such as Directional Drilling and Directional Boring. Developed by contractor Bob Langdon, the Anchor Dog Driver will reduce the risk of injury in the field. You will no longer need to swing a hammer, use a ratchet or wrench in tight areas. When setting wedge anchors into a floor you no longer have to crawl on your hands and knees as anchors can now be set from a standing position when using the Anchor Dog Driver. The Anchor Dog Driver is a quick, safe way to set wedge anchors and reduce problems with damaged wedge anchors which is a costly and time consuming problem. To learn more, contact VTC Building Systems their Anchor Dog Driver today! Signature Homes Custom Homes has been building custom homes all over Michiana for over 20 years. Our company is built on our reputation, and we maintain our reputation by building Quality homes with Integrity, leading to homes that are Distinctly Signature. Our Portfolio of Custom Homes extends from South Bend, Indiana to Southwest Michigan. We can however, build your home on any lot or parcel of land in northern Indiana or southern Michigan. Stop by our website to view Our Community of Custom Homes. 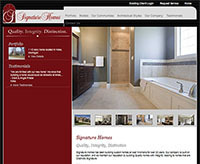 Signature Homes Custom Home Builders, we run our business with Quality, Integrity, and Distinction in mind. You Hit A Home Run!